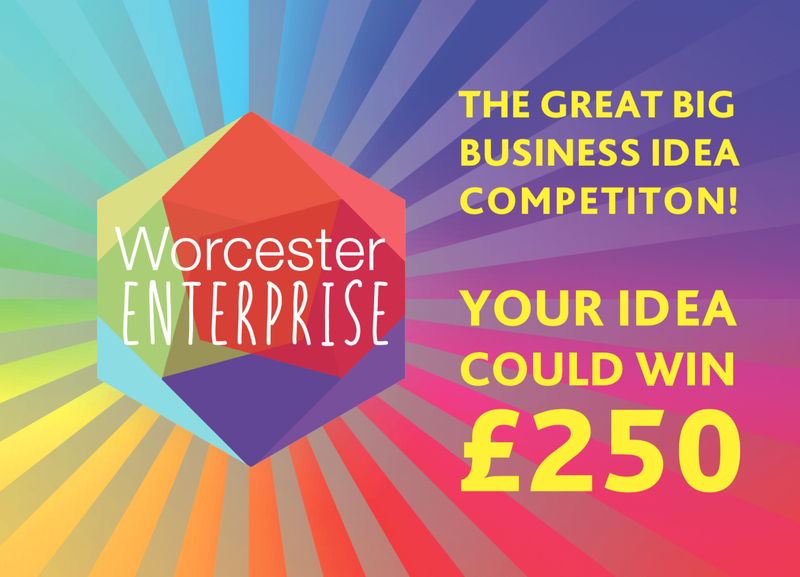 Worcester Enterprise is proud to announce the Got a great business ideas competition for the second year running. The competition last year was a great success and some excellent pitches were made to our “Dragon’s Den” panel of local entrepreneurs. We’re hoping for even bigger and better things this year! 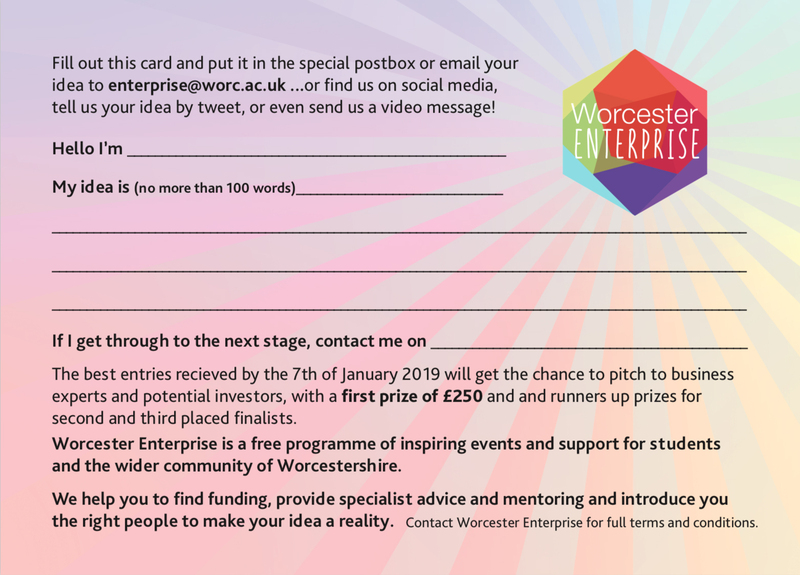 The competition is open to University students and graduates and the wider community in Worcester if they have a business idea they want to pitch to our panel. We are specifically looking for pre-start ups and companies who have just set up (within the last six months) with a great idea and perhaps want to gain some more exposure, feedback and support. We will putting postal boxes around the University and application postcards if people wish to apply by card. Anyone else can look to apply as described on the promotional postcard in the following ways: email, video or even tweet via our social media feed if you can condense your idea into the required character limit. Competition closing date is 7 January 2019. Applications will be shortlisted the following week. Successful shortlisted applicants will be contacted via email and ongoing support will be offered if required to prepare for your pitch. The final of the competition will take place at the HIVE theatre next year in Worcester on Tuesday 26 February 2019 10am- 12 noon. Blog, Events, Funding, Mentoring, Opportunities, Startups, Support accelerator, business, competition, enterprise skills, entrepreneur, funding, growth, innovation, Mentoring, pitching, start-up support, Worcestershire. permalink.